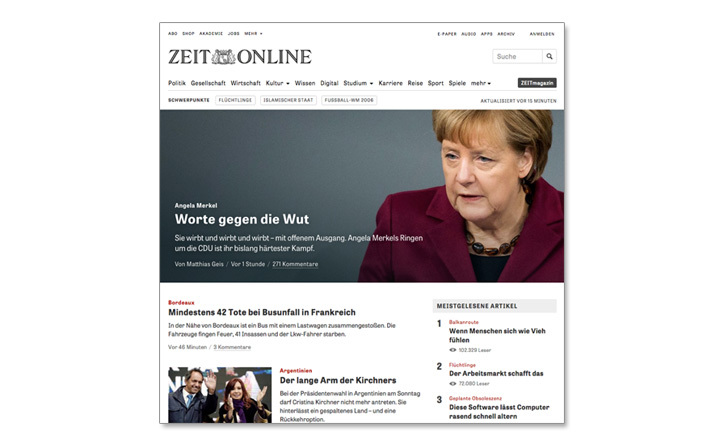 Relaunch of zeit.de and adjacent apps. Role: Chief Product Owner. Mid 2014 to End 2015.